Real Time host Bill Maher and his panel joined a long list of liberal media figures upset about the results of the Mueller report. Maher complained, "I don't think it looks good," particularly expressing disappointment about "no further indictments." 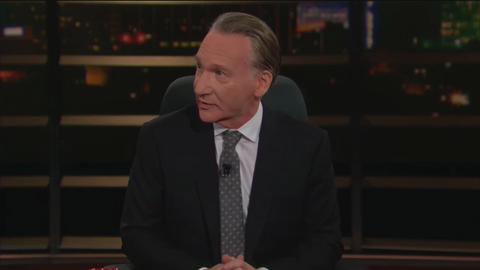 Maher asked if the Democrats put too much trust in the Mueller report before declaring "I don't need the Mueller report to know he's a traitor, I have a TV." Democratic Congressman Eric Swalwell agreed wholeheartedly with Maher, saying "if you have TV or a Twitter account, you've already seen obstruction of justice." Swalwell then said that "Mueller has to come before Congress and tell us its veracity" as Maher looked to him for reassurance that he will "make that happen." MSNBC National Security Analyst Evelyn Farkas tried to offer #TheResistance some optimism by expressing her hope that "he might actually paint a really fulsome picture of obstruction of justice but he's a sitting President so I can't indict...Congress, you do with it what you will." Republican pollster Kristen Soltis Anderson reminded her Trump-hating counterparts that "there's also the Southern District of New York that's continuing its investigation into a lot of things that were outside of the scope of what Mueller was allowed to look into."